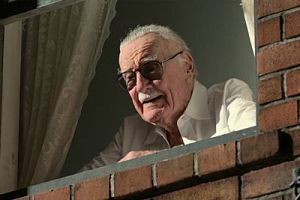 Marvel Comics Editor in Chief, Stan Lee, who passed away on Monday at the age of 95, will receive a Special Achievement Award: A Lifetime of Cameos at the 2019 LCJ Movie Awards. Lee has made brief appearances in dozens of Marvel films, including “X-Men”, “Spider-Man” and “Fantastic Four”. By the end of 2018, Lee will have appeared in seven blockbuster releases, including three under the Marvel Studios brand: “Ant-Man and the Wasp”, “Avengers: Infinity War” and “Black Panther”. Lee was also recently seen in “Venom” and heard – as the voice of himself – in this summer’s DC animated feature “Teen Titans Go! To the Movies”. Lee will appear vocally in the upcoming “Ralph Breaks the Internet” (out Nov. 21) and “Spider-Man: Into the Spider-Verse” (Dec. 14). His “Spider-Verse” cameo is featured in the first 35 minutes, which debuted to a crowd of thousands in October at New York Comic Con. Lee earned a Primetime Emmy Award nomination in 2017 for the animated series “Rocket & Groot”, based on the “Guardians of the Galaxy” characters. He also received a star on the Hollywood Walk of Fame in 2011 and a Lifetime Achievement Award from the Visual Effects Society in 2012. 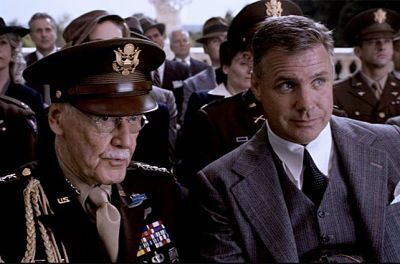 Lee was previously nominated for the Best Cameo LCJ Movie Award for “Captain America: The First Avenger”, “Marvel’s The Avengers” and “Big Hero 6”. In recognition of Lee’s legacy and incredible body of work, he will be the sole recipient of a Cameo-related honor at this year’s LCJ Movie Awards. Nominations for the 2019 LCJ Movie Awards will be made in a live announcement on Tuesday January 29th. Lee’s Special Achievement Award, as well as the winners in all competitive categories, will be announced on Sunday February 17th.